I have personally met several retirees who have millions and live in an RV. 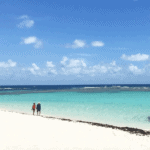 RVing is a ton of fun, but a lot of people just assume that RVers have no money. If only they actually knew! We made one friend while RVing who actually has a nice house and millions in the bank, but he lives in an RV that is worth less than $20,000. You never would have guessed! 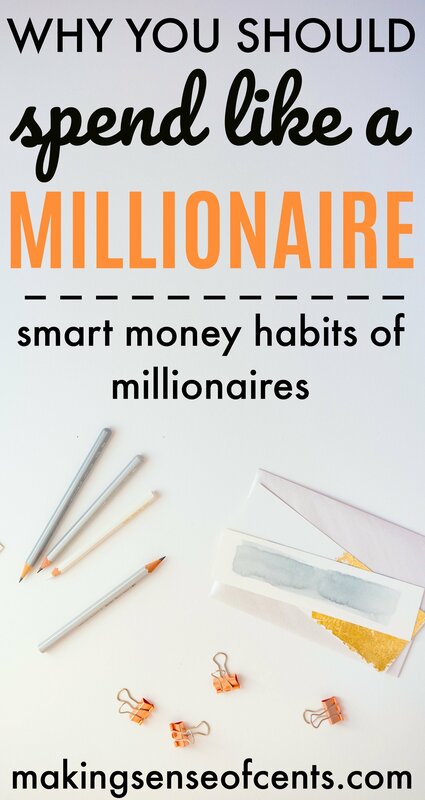 If you want to be rich (whatever amount of money or lifestyle that means to you), continue reading in order to learn more about the money management habits of millionaires. They wear the same outfits. Many other successful people feel the same way, including Mark Zuckerberg, the late Steve Jobs, Albert Einstein, and many others. The average family spends $1,700 a year on clothing, which is a lot of money. Plus, the average person wastes anywhere from 10 to 30 minutes a day when deciding what to wear! Having multiple outfits can lead to wasting time deciding what to wear, as well as wasting money. They have more than one source of income. A lot of millionaires have many sources of income, and this is one of the many great habits of millionaires. 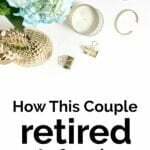 They also do this because millionaires know that one source of income may not last forever, and they are also able to lessen their risk by having multiple income streams. Read about some of the many ways to make money at 75+ Ways To Make Extra Money. Successful people and millionaires are known to set goals, especially long-term ones. They are extremely determined and without goals it would be hard to be successful. Setting goals is important because without a goal, how do you know where you're heading? Goals can help keep you motivated and striving for your best. Yes, even millionaires have budgets! Not all of them have a traditional budget, but trust me, they know where their money is going and they are watching their cash flow closely. Tracking your money and knowing where it is going can help you see where you're wasting money and what spending habits need to be changed. They educate themselves on financial matters. When millionaires are unsure of a financial decision or implication, they either seek out financial advice from an expert and/or they seek out the knowledge they need to know by educating themselves. They read numerous books, attend classes, read the newspaper, and more. They know the value of experts. Continuing from the previous habit, the rich are interested in educating themselves, but they also know when to hire help. Knowing when to get help from accountants, lawyers, experts, and more can help them take advantage of confusing laws, areas where they aren't experts, etc. This can prevent wasteful spending, bad investments, and unnecessary legal issues. This helps them save time as well as money! They don't fall for lifestyle inflation. Millionaires tend to live below their means. Yes, many of them still spend money extravagantly, but many aren't living paycheck to paycheck in order to do so. Many millionaires buy items used, they drive “normal” cars like Toyotas, and they aren't trying to keep up with the Joneses. This is drastically different from those who aren't millionaires. The average monthly new car payment is around $480. Many people try to keep up with others and fall for lifestyle inflation, which can prevent you from being good with money. Sure, they have more money to work with, but they always make sure to save money before spending it. Paying yourself first is when you put money into savings as soon as you receive your paycheck. Doing this may allow you to save more money and cut back on unneeded spending, and it can help you prepare for the future. Millionaires make their money work for them, and that is how they stay rich. Investing is important because it means you are making your money work for you. If you aren’t investing, your money is just sitting there. Learn more at The 6 Steps To Take To Invest Your First Dollar – Yes, It’s Really This Easy! They still use coupons and haggle. Yes, one of the many habits of millionaires is that they tend to still use coupons and even negotiate in order to get the best pricing! According to AOL's article Guess Who Clips the Most Coupons?, households with average incomes of $100,000 or more actually clip more coupons than those who bring in less than $35,000. What other habits of millionaires am I missing? Share in the comments below! Awesome post Michelle! Another thing I’ve seen a lot of millionaires putting a lot of emphasis on whether consciously or sub-consciously is always working through their limiting money beliefs. I love this, Michelle! Reading The Millionaire Next Door completely changed my views on building wealth. Yesterday, the drummer from Rascal Flatts posted on Facebook about how his family still drives a 2004 Toyota Corolla and live way below their means to reach financial independence sooner. It’s a great message! Yes, what a great message! One of my favorite finance books! I read it years ago with so many take-aways. Nice article. I’ve also noticed that millionaires understand the value of money and that impacts the decisions that they make. Living below your means is my favourite tip on the list because it forces you to think about your needs and your wants. I just read an article on millionaires who spend their money wisely. Thanks for tying that info in! Great read! It is a bid surprising how some millionaires live, but it totally makes sense. 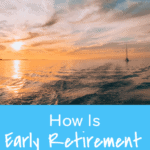 Although I do see frugality as a means to an end, I’m sure I still won’t get rid of many of my frugal habits once I am retiring comfortably. Good reminders! I think you pretty much covered it! I know several millionaires who live very frugally. The people who live like millionaires and spend lavishly don’t always have the bank accounts to match. I have a family member who is a multi-millionaire (sadly, I’m not on the same branch of the tree). The most impressive thing about them is that they absolutely do not care what others think or what others do. Also, they’re very generous, not just to charities but with family and friends. Not just with money, but with their time! We can learn a lot from millionaires for sure! I wish more normal people would invest and make their money grow and pay themselves first. People really undervalue those two tips even though we live in the age of information. My father (a millionaire like the ones you described) always told us that what matters is what you have, not what you spend. I think that basically captures what you’ve said here. He also reminded us that just because someone has expensive things – house, car, clothes, etc. – doesn’t mean they have a lot of money. It could all have been purchased on credit. Very interesting. I love that Warren Buffet lives in a house he bought in 1958. I was watching Mark Zuckerberg’s live Q&A in Rome this morning and he was wearing a t-shirt and jeans. Doesn’t surprise me he drives an Acura. Great tips to live by, thanks for sharing. 🙂 And Happy Monday! This is great! I’ve heard a lot how millionaires read several books a month. There’s always room to learn! Love the interesting tidbits! This is great to spread the word! My parents always told me “The best way to always have money is not to spend it”. 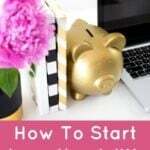 I always try to remember that advice because if you consistently save first and think about your purchases, you will then have the money to do the things you actually want to do. It’s all about being intentional with how you spend/save your hard earned $$! Thanks for helping spread this wisdom (and to buck the stereotypes of wealthy families/individuals). A lot of the millionaires I have talked to say, “It took me lots of hard work and discipline to get to my financial freedom status. Once you have those disciplines down, it’s really hard to see why you’d break them. It becomes a lifestyle that you like.” I personally loved that mindset! I think probably one of the biggest factors is not trying to keep up with the Joneses. If you don’t care what others think about you and don’t care about having all the latest, greatest, new stuff, you will just naturally have more money, which you can then put to work for you. Nice post, Michelle! I always knew that millionaires negotiate / haggle for the best deals, that is in their DNA. What I was surprised by was this – “households with average incomes of $100,000 or more actually clip more coupons than those who bring in less than $35,000”. Right? I was surprised too! I always try to remember that being wealthy means that you have money saved. You could make a huge income, but if you spend it all, you don’t really have any wealth built up except maybe value in a car or house. Millionaires stay millionaires by saving, not by spending every penny. Many millionaires are generous with their money and use it to help others. Do they give because they are rich or are they rich, because they give. I find if I help others for the sake of giving it is more likely help comes to me. That’s so true! I know of some millionnaires and very wealthy family members luke my grandma who is the same, she lives in a run down flat and wears the same clothes everyday and she always says that you should be happy with what you have instead of keeping up with the Joneses. On the otherhand I know of some semi wealthy family friends all flashy and covered with designer wear, trying to show off their wealth on social media. It’s very cringeworthy to be honest! The using coupons one surprised me. I figured most of the wealthy people out there would give up habits like that because they felt that it was unnecessary. I totally appreciate the idea of wearing the same (or at least similar) clothes. I work in a school right now and I so wish we had some kind of uniform. I dislike clothes shopping and deciding what to wear each day! I am fascinated at how many millionaires don’t care about clothes or what they eat each day. I was really surprised by the couponing though! Great post, Michelle! Millionaires are often hard to spot with their frugal lifestyles! I’m with Vicki on the clothing. I love that many millionaires tend to have minimal clothing options. I don’t buy much clothing for myself, but not everything goes together. I like the idea of having a capsule wardrobe where everything goes together, but few items are needed. Sometimes I wonder if people like Warren Buffet simply do not have the capacity to give energy towards buying an expensive car or moving to a new house. If you’re happy with what you have, why change? For sure! As I said in the blog post, many of the wealthy do feel that way – they don’t want to waste any additional energy. This is simply amazing to know, Michelle. Excellent post, it’s an eye-opener, I would say. Thanks for sharing this. I would like to share one of Mr. Warren Buffett famous quote, “If you keep buying things that you don’t need, then soon you will start selling things that you need”. We should not fall trap into Lifestyle creep to spend more and more. I didn’t know that many millionaires have multiple sources of income! I’ve never thought about that before, but most millionaires I know do have many different business opportunities going on at once! Great read! 1. The person who worked hard and saved for decades for that million. They are frugal and have the habits as you described above, or else they don’t become millionaires. 2. The young analysts on Wall St making 6 figures right out of college who expect to be a millionaire in their 30s. They dress like a million bucks and spend a fortune renting their Manhattan apartments. Funny thing about #2: the ones in the firm worth over a hundred million (some billions) were dressed worse than the general public. Holes in sweater elbows, really ill-fitting suits, and bargain shoes. This is a great post! I think the most common misconception is that millionaires spend an exorbitant amount of money. The ultra-rich does spend a lot of money on boats and islands but the average millionaire got to being a millionaire because of frugal habits and goal setting over the long term. Act like how a millionaire acts and you will become a millionaire yourself! I really loved reading this. You find that people with no money spend loads on designer stuff to look like they have money but they guys that actually have money don’t show it off. My granddad was so frugal as money was tight when my mum and her brothers were still young. He never changed his spending habits as he grew his wealth. When he sadly passed away we were in a state of shock that he had amassed just short of £2m in stocks, shares and hard cash. You would never have known he had so much from his lifestyle. I only ever knew him to have three cars in my entire life, none were bought new even though he got 25% discount from working at Fords! We are on the path to millionaire status, and honestly, by looking at the image we portray you would probably never know it. We drive reliable, older cars that we take care of. We have a ton of outdoor hobbies (biking, snowshowing, rollerblading, hiking) that have some up-front equipment cost, but are free after that, And I look for awesome deals at goodwill rather than going out for dinner every night. We live an exciting, fulfilling, healthy, and happy life, and with all the money in the bank, I can worry less about work, and more about finding my purpose and answering the bigger questions in life like, why am I here? Who can I help? How can I live my life purpose. This is a much more fun way to live than worrying about how I am going to pay our bills. Check us out @ Wealth Well Done. According to your description in this blog post, I already have the mind of a millionaire! I do alot of these things already – save money, negotiate and keep an eye on the best deals and bargains, don’t spend money unnecessarily, etc. Plus I am working on multiple income streams! I do agree that it is wise to not be dependent upon only one income stream – such as counting on one employer to provide for your entire life’s monetary abundance. Our world has changed by leaps and bounds every decade since I was born (I am an X-Gen), so we can’t ever truly expect our income sources to never change. They very likely will change, so we have to be willing to be adaptable and trust that we are capable to figure things out as we go along in life. It certainly also helps to have an “abundance” mindset, to believe that one is deserving of wealth and that being financially healthy is important for our overall well-being.